David Ramonet studied Pharmacy at the University of Barcelona (Spain) and got his Ph.D. degree in 2003 at the School of Medicine of the same university, working under the supervision of Dr. Nicole Many on the calcium homeostasis alterations as common mechanism of brain suffering. From 2004-2007 he worked as postdoctoral fellow with Dr. Jonathan Geiger, participating in the setup of the brand new Neuroscience Research Facility-Center of Biomedical Research Excellence in Path physiology of Neurodegenerative Disease (Grand Forks, ND, USA). 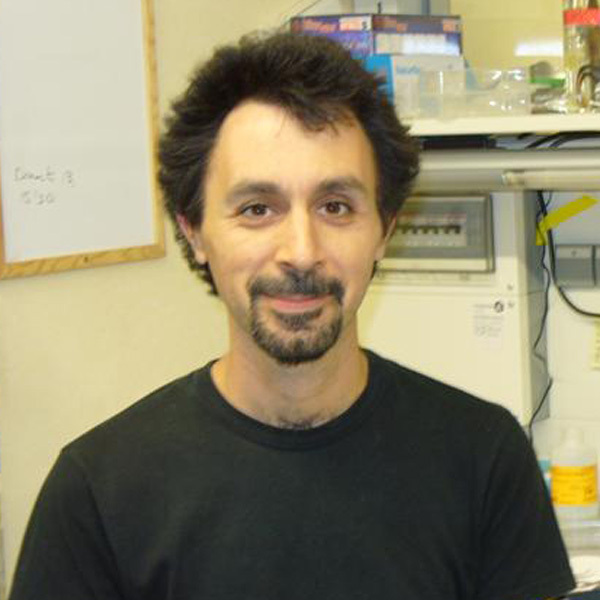 His project was focused on determinants of gene-regulated neuronal cell death in excitotoxicity. He worked in our lab from 2007 to 2009.